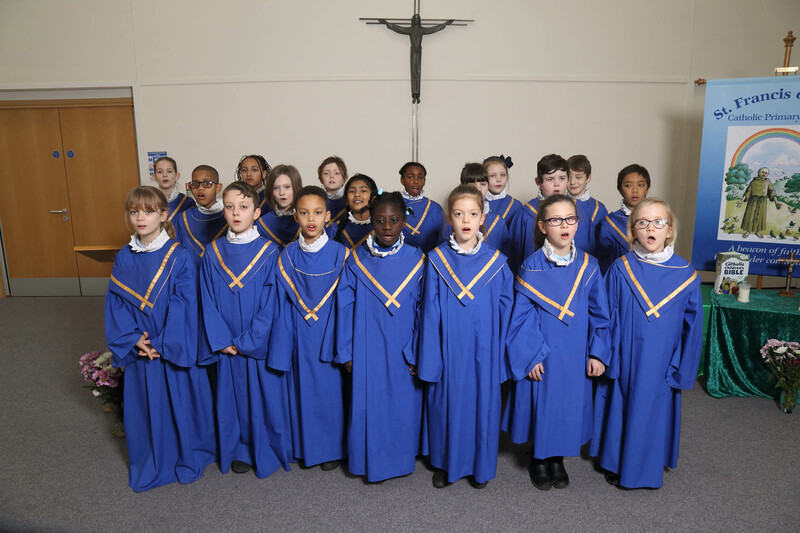 At St. Francis of Assisi Catholic Primary School we value the diverse ethnic backgrounds of all pupils and families and undertake a variety of events and lessons to celebrate these. We teach tolerance and respect for the differences in our community and the wider world. Recently we have been learning about Judaism in R.E. Lessons have also been taught through Geography, Art and Design Technology. Children throughout the school have been learning about the different signs and symbols associated with the Jewish Religion. The Jewish place of worship is a Synagogue, and the Jewish leader and teacher of Judaism is called a Rabbi. Children were told that Jewish people wear a skullcap (a kippah) as a mark of respect. Jewish men wear a special prayer shawl when they pray. They call it a ‘tallit’ and a Rabbi wears one of these. In a synagogue, there is cupboard called the Ark and it contains the Torah scrolls, which have been written by a scribe in Hebrew. Hebrew writing is read from right to left unlike English, which is written and read left to right. Jewish people who read the Torah do not touch the script with their fingers. They use a pointer known as a ‘yad’. When they pray, Jewish people face in a particular direction, the direction of Jerusalem in Israel, which is a place that all Jewish people would like to visit during their life.